In this post, I will be sharing my experience and photos traveling around the vicinity of Seoul. 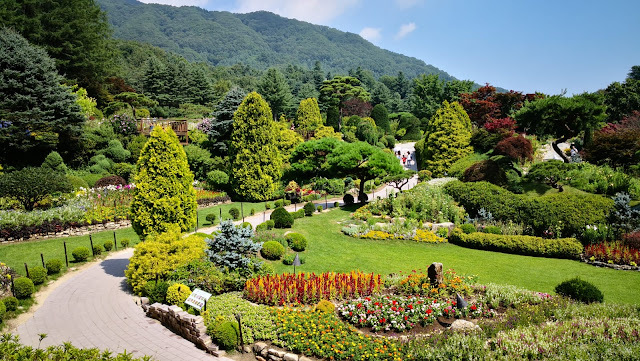 While many travelers may stick to only the main city and its nearby suburbs during their trip to Seoul, did you know that there are many more interesting locations to visit just a short drive away from South Korea's capital city? One such example is the Garden of Morning Calm in Gapyeong, which I will be focusing on in my Part 1/3 Out of Seoul series! When I first learned of the Garden of Morning Calm from my research of places to visit, my reactions were "How good can a garden get?" and "How can a simple garden be so popular?" 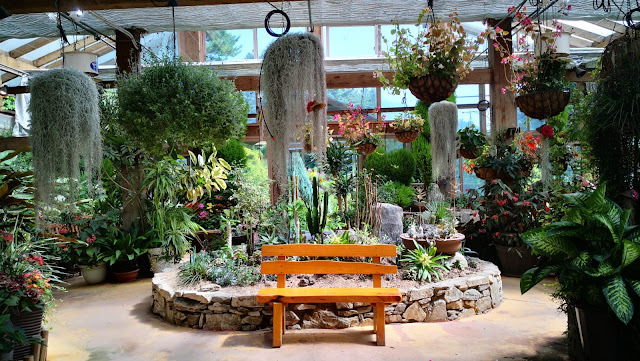 But trusting the reviews of the place, which is at 4.3 stars from more than 3,500 reviews, I decided to take a leap of faith and booked a tour to visit the garden, as part of a 1-day tour package. It is one of the best choices I have made during the trip because the garden is just simply gorgeous! Garden of Morning Calm is maintained throughout the year with different sections of the garden catering to different themes such as a Korean Garden (duh), Bonsai Garden and a Heaven Garden. At 300,000 metres square, the entire garden is 60 times the size of a football field. We took around 2 hours to cover the entire area by foot, which was totally not what I expected. 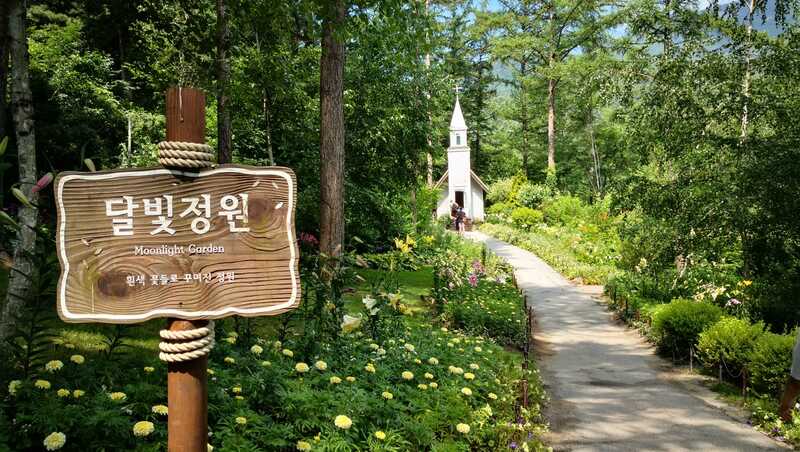 The entire place feels like a setting straight out from a romantic movie and according to our tour guide, the garden has indeed been used as a filming location before. Like the name suggests, you do feel a sense of calmness and serenity exploring the garden, where you are surrounded by the beauty of nature. The plants, facilities and paths are also very well maintained, which adds to the entire experience. At times, you will also feel as if you're in a European country with some of the themed buildings in the garden. There are also seasonal events happening in the garden throughout the year and one sad thing is that summer is considered the worst periods to visit the place, mainly due to the heat and everything is mostly green. If you are planning to visit the garden, it is highly recommended to visit the place during spring, autumn or winter as there are more colours or the place just looks beautifully romantic. I am not complaining though because the garden still looked beautiful during my visit and I don't regret my decision. 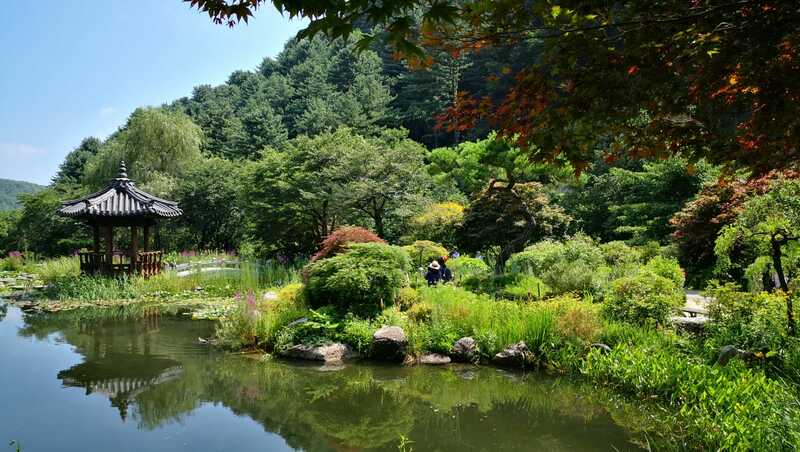 It takes about an hour drive from Seoul to reach the garden and around 2 hours if you plan to take public transport. However, I highly recommend including other places like Nami Island and the Rail Parks to maximise your time. 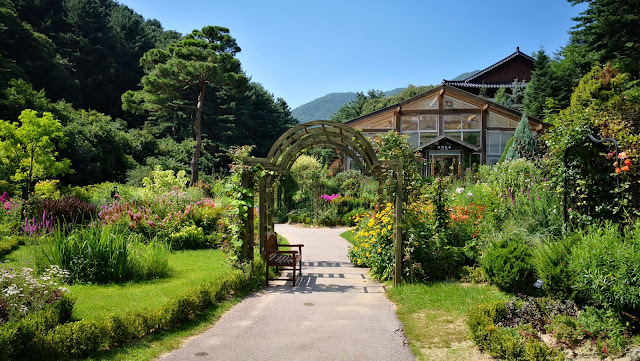 For me, I visited Garden of Morning Calm as part of a full day tour, along with Nami Island and Gachon Rail Park. I will be covering the other two places in my subsequent posts, so do stay tuned! The park charges an entry fee and there are several food places in the vicinity of the garden, but aside from that there are very few eating places around. Again highly recommended visiting as part of a tour. I hope you enjoyed this post. Do you have experience visiting any cool parks or gardens? Do share!